Perfect Supplements is one of the sponsors of A Real Food Alphabet, the children’s book that I just published! They are also a Gold Sponsor of the Weston A. Price Foundation’s annual Wise Traditions conference this year that I am at as you read this blog post! I am so grateful that they have offered us an exclusive opportunity to try out and stock up on selected products they’ll have at the Wise Traditions conference at a 35% discount! In addition to that, use code Nourish10 for an additional 10% off, and you’ll get free shipping in the United States on orders of $99 or more. Follow this link between November 16–18 to our unique promotion page and then use code Nourish10. Please note that no additional bulk discounts will be applied. Let me tell you why I am recommending their products! Pictured below is my latest box! While we do recommend whole food first and foremost, their products are made with whole foods! For example, the powdered liver is simply 100% grass-fed undefatted beef liver in its purest form; non-defatted and as close to nature as possible. Liver is one of the most nutrient dense superfoods in existence. I find it very convenient to have bottle in my suit case for when I travel, or when I’m out of pastured liver. Perfect Supplements prefers ingredients that are wild-grown, sustainably-harvested and organic; produced without toxic chemicals . Perfect Supplements is a small, family-owned and operated business, and they support local farms. Their products are made in the United States. Their superfoods and supplements contain no fillers or flow agents such as magnesium stearate. Their superfoods and supplements containing no synthetic nutrients, no artificial colors or flavors and no GMO’s. Their products are minimally processed – raw, freeze-dried, or fermented, and are always processed without chemicals. The best superfoods are grown all over the world, but every country does not practice fair worker’s rights. All of their suppliers answer questions about fair pay and safe working conditions for their employees. They strive to provide their customers with research, resources and objective information to help make informed health decisions. I have personally asked them many detailed questions about various products and they were very happy to supply me with answers! They are third party tested for quality and I have reviewed a number of the tests! You can use a full one month supply of any Perfect Supplements Brand product they sell (1 full bottle), if you are not satisfied you may return the empty bottle for a full refund (only shipping is non-refundable). They financially support many charitable organizations, including reducing world hunger, environmental protection, and health education through the Weston A. Price Foundation. Kristen Morelli is a Weston A. Price Foundation co-chater leader! My interactions with them have been such a pleasure. Every one of their staff has been incredibly supportive! Again, these powdered superfoods and cold-pressed, organic coconut oil on this list have been carefully reviewed and approved as reflective of the dietary recommendations made by the Weston A. Price Foundation. This is an opportune time to try out and stock up on these products November 16-18! 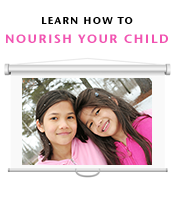 Don’t forget to use the coupon code Nourish10!